Historians and archivists call our times the “digital dark ages.” The name evokes the medieval period that followed the collapse of the Roman Empire, which led to a radical decline in the recorded history of the West for 1000 years. But don’t blame the Visigoths or the Vandals. The culprit is the ephemeral nature of digital recording devices. Remember all the stuff you stored on floppy discs, now lost forever? 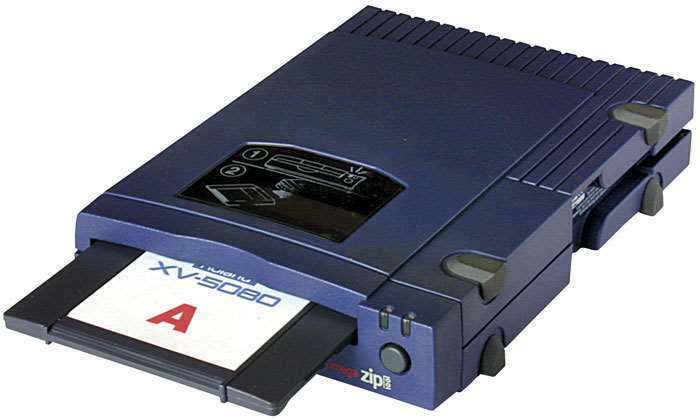 Over the last 25 years, we’ve seen big 8” floppies replaced by 5.25” medium replaced by little 3.5” floppies, Zip discs and CD-ROMs, external hard drives and now the Cloud — and let’s not forget memory sticks and also-rans like the DAT and Minidisc. We’ll ignore the data lost in computer crashes. Each transition has seen the loss of countless zillions of documents and images. The irony is that, even as we’re generating more records than any civilization ever, we’re destroying so much important stuff that future generations will hardly know we ever lived. I got to thinking about our civilizational priorities the other day, while managing the photos on my iPhone. Few of us realize it, but the default settings of electronic devices like a smartphone is to keep, rather than erase. Take a photo or video, and Apple wants to send it and save it to all the gadgets on your Apple Store account. If you’re like me (and in this respect, most people are), you take lot more photos than you delete. But even your “deleted” stuff isn’t really deleted — it’s merely moved to a “Deleted Photos” folder. And it lives in the Cloud, like, forever. To really really delete something, you have to double-triple-delete it. Most people don’t bother. So all those mundane iPhone photos — countless pics of your kid at the school concert, boarding passes, the image of the wine you mean to get more of — accumulates. Partly due to my failure to edit crap like that, some experts a looming data capacity crisis of epic proportions. Keeping everything is a phenomenon of the digital age. Analog photos were expensive to develop and print. So we took fewer of them. And we didn’t develop them all. More irony: Even as we’re keeping triplicates of, let’s face it, zillions of documents and images we will never, ever look at again, digitalization is erasing cultural works of epic importance en masse. Of the 80,000 to 90,000 films considered to be in print on DVD in the United States, only a small fraction have made the leap to streaming. For the most part, this is because companies like Netflix can’t or don’t want to buy the rights for movies whose copyright holders want to get real money. The result is, if you want to see such classics as “The Bicycle Thief” or “Marathon Man,” your only hope is to buy an old used DVD on eBay (assuming you still have a DVD player). Of course, each change of format has left films, many of them important, unavailable to cinephiles. Many great films never made it from VHS to DVD. Format transitions are also murdering our musical and literary legacies. When I peruse music streaming services like Apple Music, I’m surprised how many albums by my favorite bands available: sorry, Lords of the New Church. This isn’t new: music geeks hunt down rare 78s for old-timey music that never made it to 33-rpm record. Tons of tunes got lost in the move from vinyl to CD. Maybe it’s the stuff that I like to listen to, but it feels like format loss has been more devastating this time around, as music storage goes from physical to ethereal. It’s easy to forget how many books aren’t making the jump, especially when corporations sell products like Amazon’s Kindle Unlimited, which lets you read any of 600,000 titles for a fee. Many titles, including some by big-name authors like Philip Roth and John Updike, aren’t there. In case you were wondering, there were 129 million books in the world as of 2010. Subscribe to Kindle “Unlimited,” then, and you’ve got access to less than 0.5% of the world’s books. But don’t worry, you’ll always have those photos of the school play. Until you get a new phone. This entry was posted in Blog, Columns and tagged apple, Apple Music, books, Culture, dat, data storage, digital dark ages, digital storage, Doris Kearns Goodwin, films, floppy discs, iPhone, minidisc, Movies, Music, photos, Streaming, vint cerf, zip on December 21, 2015 by Ted Rall.